The Bodleian Libraries will be running workshops on making the most of e-books, e-book readers and reference management software during week 3. Bodleian iSkills: E-Books (Tues 3 Feb 14.00-15.15) (wk 3) The Bodleian Libraries has over 624,000 e-books, with titles in all subject areas, but do you feel confident in finding and using them? This workshop will cover finding e-books and how to use and manipulate them including borrowing entire books, downloading chapters, using them on computers, tablets and other devices and making annotations. Please note that this workshop will focus on finding and using e-versions of books. The subsequent session “iSkills-E-Book Readers” will look at devices and apps for reading e-books such as Kindle and Nook (more information below). Venue: Radcliffe Science Library Training Room, Parks Road. > Find out more an book your place at iSkills: E-Books. Bodleian iSkills: E-Book Readers (Tues 3 Feb 15.30-17.00) – Reading on E-Book Readers such as Kindle or Nook and using apps for iPad and Android devices is increasingly popular but how useful are these devices for academic work? This workshop will look at a range of devices and apps on the market and will cover key features to look out for when considering purchase. The workshop will also include an opportunity to try out a range of devices. Bodleian iSkills: Tech Tools – Reference Management (Wed 4 Feb 9.30-12.15) (wk 3) Formatting your in text citations/footnotes and bibliography correctly for your thesis or publication is a chore. Reference management software makes it easier and saves you time. This introductory session gives an overview of how reference management works, explores the pros and cons of a wide range of reference management packages and gives you the opportunity to try out five different packages so that you can work out which one is best for you. The packages included are RefWorks, EndNote, Zotero, Mendeley and ColWiz. Venue: IT Services, 13 Banbury Road. RefWorks for Humanities (Wed 28 Jan 14.00-17.00) (wk 2) – Inserting in-text citations and footnotes into your papers and creating bibliographies is a time consuming chore. Reference Management tools such as RefWorks make it much easier and save you valuable time. RefWorks is an online tool which is available to all members of Oxford University and alumni through the Bodleian Libraries subscription. You can use it to keep track of your reading so that you have all the details you need to hand when you want to insert a citation into your own papers. However, RefWorks best feature is that it will format your citations and bibliographies for you using your chosen citation style. In addition, if you are publishing and need to submit your text in different styles for different publishers, RefWork can switch styles for you at the touch of a button. Come along to our introduction to find out more. This workshop is open to all, but the section on importing references will focus on Humanities examples. Last chance to sign up for this term’s Research Skills Toolkits! During the sessions you will also meet with subject specialists for help and guidance on further training. As of Monday 12th January we will revert to our term time opening hours of 9am-7pm Monday-Friday and 10am-4pm on Saturdays. Happy New Year! 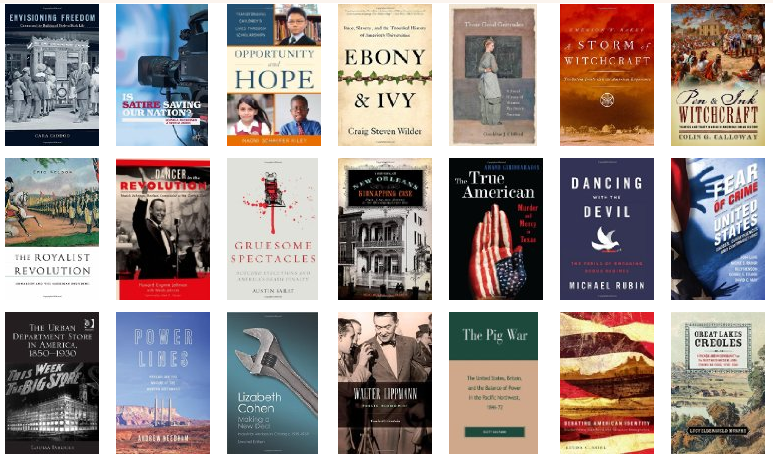 The new books received in the library during December may now be seen on our website and LibraryThing page.